Just a few days ago Google released an official video featuring a Verizon-branded Galaxy Nexus. It was more than enough to prove the third installment of the Google phone is indeed coming to Verizon's network. Today we have an addition to that story. 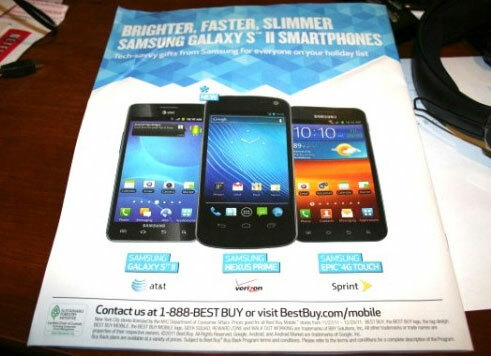 A leaked Best Buy ad shows the Verizon's Galaxy Nexus will be actually called Samsung Nexus Prime, most probably for easier differentiation among the international model. That's pretty much all the new info. The Nexus Prime will most probably hit the Verizon stores in a couple of weeks and should cost $300 with a two-year contract. Volume defects and everything, right?